Home MTAANI NEWS Over 30,000 Kiandutu residents set to get titles deeds for their settlements. Over 30,000 Kiandutu residents set to get titles deeds for their settlements. 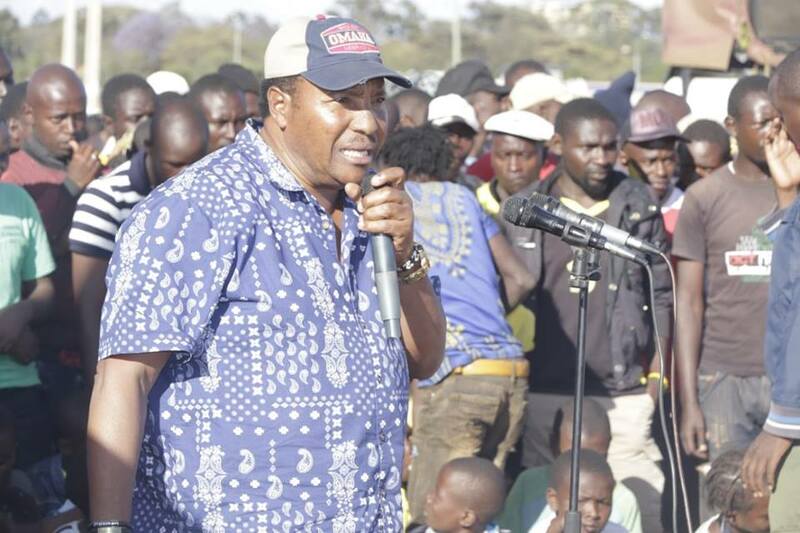 Kiambu Governor Ferdinand Waititu addressing the residents of Kiandutu on Sunday afternoon where he kick-started the process to issue them with title deeds to their land. Over 30,000 residents of the sprawling Kiandutu slums in Thika West Sub-County have a reason to smile after the Kiambu County Government started the process of registering them for acquisition of title deeds to their informal settlements. Speaking at the Mbururii Grounds near Garissa Road Primary School on Sunday, Kiambu Governor Ferdinand Waititu said that his administration had directed surveyors and land officers to fast track the process adding that his move had been occasioned by indiscriminate grabbing of public utilities in the area. Waititu noted that once the residents got full ownership to their land, this would be the end of political brokers who have been hoodwinking locals by defrauding them. “The surveyors will establish space for access roads, erection of public facilities such as hospitals and markets. Thereafter, my government will construct modern markets where you will be operating from. This is a great opportunity for growth and we want our youngsters to progress and do business like other people,” he said. “Like we recently did with president Uhuru in Soweto, Ngomongo and Korogocho in Nairobi, we are committed to issuing every one of you a permanent settlement which can only be sealed by a title deed,” he added. He promised immediate commencement of Kiandutu’s rehabilitation program stating that he would start by establishing a modern sewerage system and lighting program. The governor was accompanied by MCAs Julius Macharia (Witeithie) and Joakim Mwangi (Ngoliba).